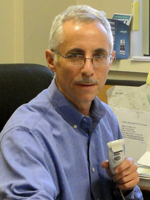 Andrew L. Simon, M.D., F.A.C.S. Dr. Andrew Simon graduated Phi Beta Kappa with a degree in biology from Emory University in Atlanta, GA. He completed his medical degree at the New York Medical College in Valhalla, NY, where he also served his urology residency. He completed his residency in surgery at St. Vincent's Hospital in New York City in 1984. 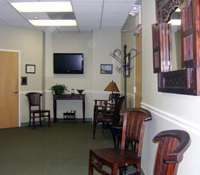 Dr. Simon has been practicing urology in Brick NJ since 1988. He served as Chairman of Urology -- both at the Kimball Medical Center as well as at Ocean Medical Center -- and participates in numerous hospital committees and advisory roles. Currently, Dr. Simon is Chairman of Urology at Medical Center of Ocean County and participates in numerous hospital committees. He is certified by the American Board of Urology and a Fellow of the American College of Surgeons. Dr. Simon is a member of the American Urologic Association (both the national and the regional New York sections), American College of Surgeons, American Association of Clinical Urologists, and the Urology Society of New Jersey. Dr. Simon remains actively committed to continuing medical education and has received the AMA's Physician Recognition Award continually since 1994.